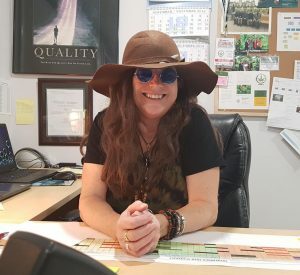 SHANNONVILLE – A former drug addict is now running a multi-million dollar cannabis operation inside the Tyendinaga reserve with a major goal to help people in the region. 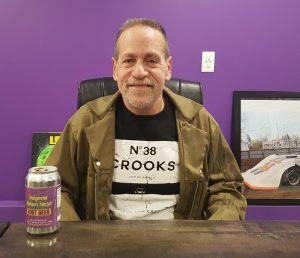 Tim Barnhart opened a medical marijuana dispensary called, Legacy 420, in December 2015 with the intention of helping people who are struggling with addiction. “I saw a problem in our community called opiates and there was a lot of people addicted…including myself,” Barnhart said in a recent interview. About five years ago, Barnhart broke his hip. It led to an addiction to a drug called OxyContin, a highly addictive, opioid painkiller. Barnhart said cannabis helped him stop taking the medication. He began to start doing background research on OxyContin and harm reduction when he realized cannabis could be an alternative to painkillers. 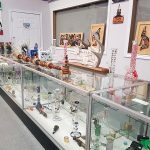 He said wanting to heal himself, as well as helping others was the inspiration to open up the dispensary. 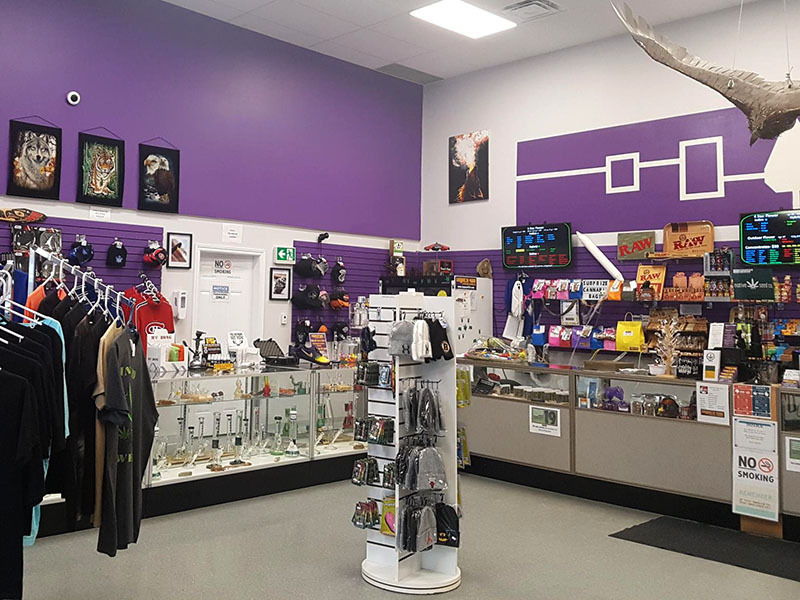 Opening up a dispensary on the Tyendinaga Mohawk Territory was deliberate, but also controversial. When it opened, cannabis sales were not legal. It was only on Oct. 17 it became legalized in Canada. 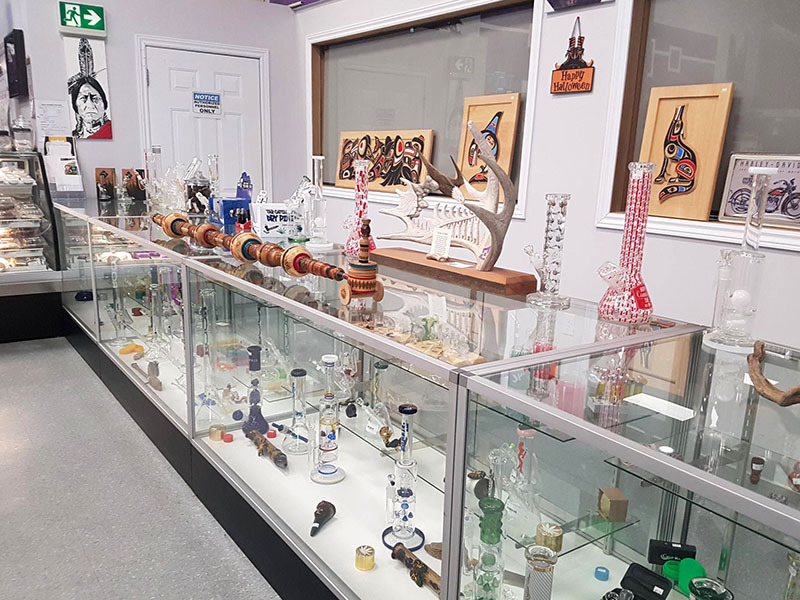 In Ontario, retail outlets are not legally allowed to sell cannabis until April 2019. Barnhart said there are two laws, there’s Canadian law and then there’s Indigenous law. “I knew I had an inherent right in this nation,” Barnhart said. Barnhart said that the reason the federal government never made a move to shut them down was because it would end up in court. He said that if it went to court the federal government would lose, he said. And, if it lost, they wouldn’t be able to set any regulations, he said. It would be a “wide open game just like tobacco,” he said. Barnhart said that his argument was completely legal. Tyendinaga Mohawk Territory Police Chief Jason Brant would not comment Tuesday on Barnhart’s statement saying it was a matter dealt with by the previous police chief, Ron Maracle, who retired in May. 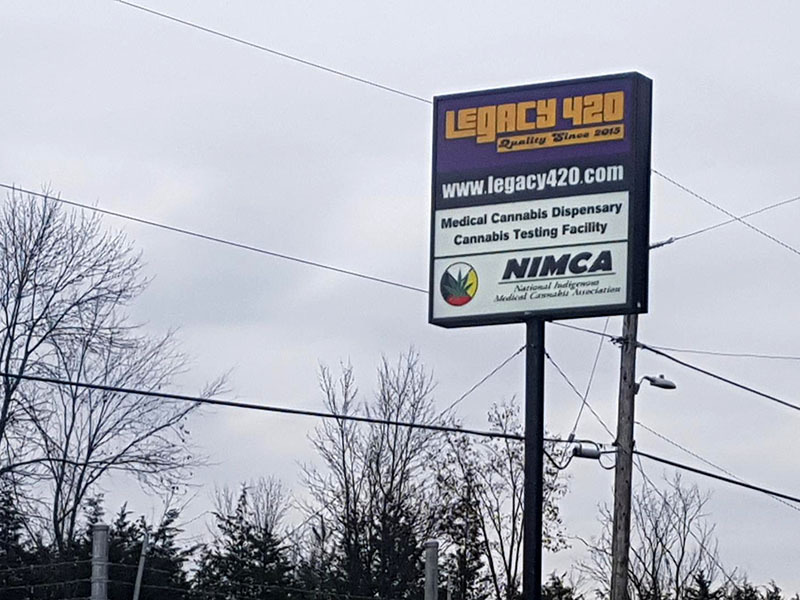 Today, Legacy 420 employs 43 people full-time and has nine others contracted to do other jobs for them. He said that payroll is about $3.7 million a year and the business itself rakes in a $20 million income. “I think it’s a golden opportunity to enrich ourselves because all we’ve ever known is poverty,” Barnhart said. 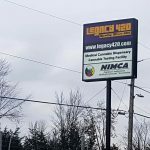 With all of the money coming in, Legacy 420 gives back. 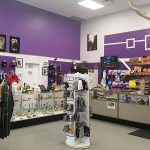 “Through Legacy, we have a donation arm so we donate money back into the community and that’s between ourselves and two of the other dispensaries and another business here on the territory. So, we fund sports teams and we provide grocery gift cards for families and stuff. So yeah, we try to give back as much as we can,” Cathy O’Coin, Director of Quality and Human Resources said. The Grassroots fund was created in May 2018 to help out members of the Tyendinaga community. “It was established here on the territory to fund or donate to people from Tyendinaga or from Tyendinaga who don’t live in the territory,” O’Coin said. “There was a lot of people falling through the cracks through the current system they have for welfare and so, those people couldn’t apply for certain reasons and certain needs and so they would come here and we’d help them with that,” Barnhart said. But it’s not just that. The Grassroots fund donates to people that need a wide range of things. “We’ve bought medical stuff for houses, like bars and ramps and stuff like that. We’ve bought appliances for people, it depends on what their needs are,” O’Coin said. They’re hoping that eventually, the fund will spread across Canada. Multiple attempts were made to reach Chief Don Maracle for comment but we were unsuccessful.